Acutely pitched and incomprehensibly energetic, Hot Gay Time Machine‘s high camp soiree into Toby Marlow and Zak Ghazi-Torbati’s sexual awakenings is intelligent, unadulteratedly obnoxious and sublimely silly. 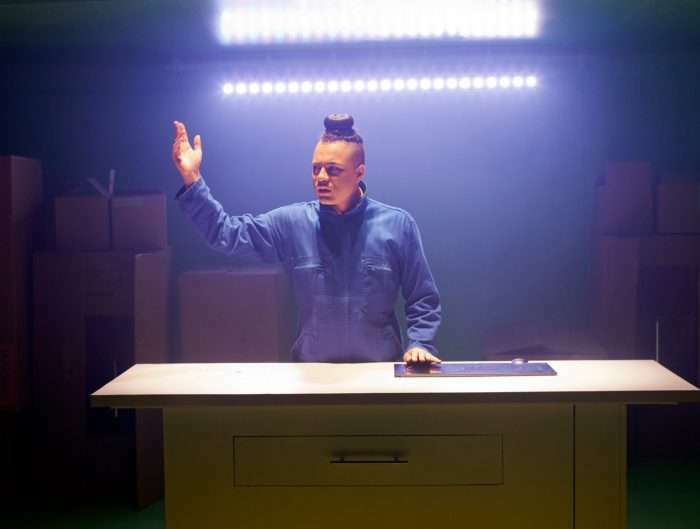 Lucy Moss, Toby Marlow and collaborator Zak Ghazi-Torbati’s second West End transfer – a high camp, incomprehensibly energetic soiree into the boys’ respective sexual awakenings – is, like Six, perhaps most remarkable for how acutely it pitches itself. 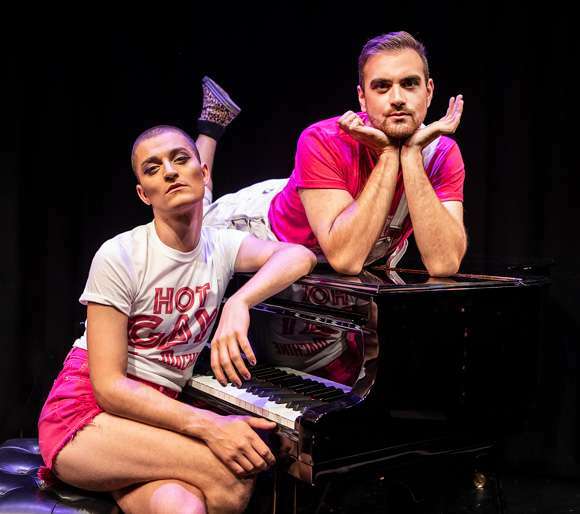 As with the infectious and immaculately executed 75-minutes that really propelled the Cambridge graduates to commercial theatre ‘limelight’ earlier this year, Hot Gay Time Machine demonstrates a formidable understanding of the audience it’ll attract. Each music cut, every eye-roll and all the gags (double entendre intended) seem orchestrated within an inch of their lives – to whip their liberal, brunch-going and Ke$ha-loving-but-only-in-an-ironic-way-obvs millennial audience up into as much of a frenzy and delirium as possible. It’s sort of the theatrical equivalent of a Bucking Bronco. And I love them for that. 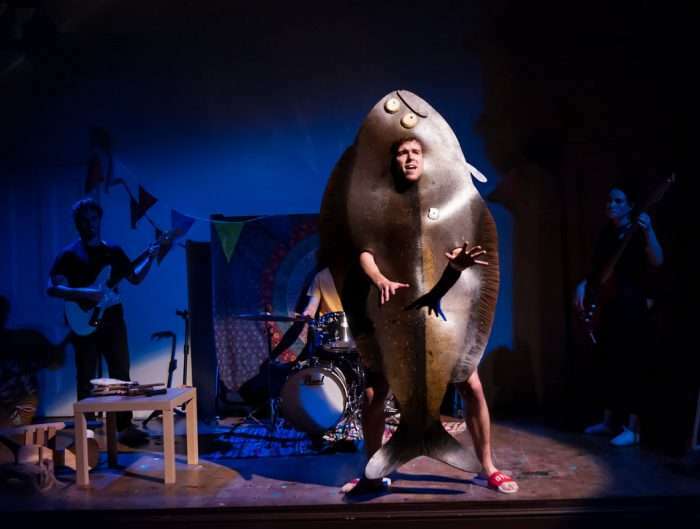 The show’s quasi-slapdash tone and aesthetic makes you nostalgic about the university cabaret nights you definitely look back on with rose-tinted glasses, except you have full confidence the quality here is actually something worth shouting about. The wit is infinitely sharper, too. 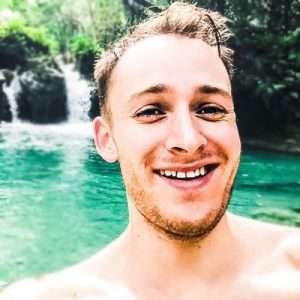 Perhaps you could argue the same tricks and tropes are rehashed from Six – ample use of silence and omission and slant rhymes for humorous effect, for example – but the playfulness, self-consciousness and at times slipperiness of Marlow’s songs shine just as brightly in Hot Gay Time Machine. As does the imagination and creativity of the piece’s structure (if anything, it’s more interesting here than Six), its audience interaction and its incorporation of ever-so-slightly weightier undertones. Fleeting moments suggest Marlow and Ghazi-Torbati’s lived experiences, however privileged, were not always as glittery as Anna Reid’s backdrop. But the team seem to make the decision to puncture every potentially affecting moment with a catty comment or wry smile – and whilst it’s often hilarious, I was perhaps waiting for them to leave one moment in where no put-down materialises. Where something a little more touching, or even provocative and not simply appealing to the audience’s sensibilities, really was left to linger. Nevertheless, Hot Gay Time Machine‘s also notable – and commendable – for how well its writers foresee and acknowledge potential criticism. We’re reassured, to death perhaps, that the pair have a grounded awareness of their advantage and privilege as white, cis-gender men. Regular jabs about their economic backgrounds (private boarding school, in the case of Marlow for instance) – and the relative ease in which they were able to come out within a liberal university or school setting – demonstrate their consciousness that it’s by no means as easy for others.